I love hanging out at cafés and working from there, but I also want a more fixed place where I can pop-in and always know that I can focus on work. Thus, I’ll be spending the next few days looking for the perfect co-working space (I’ll be updating this post as we go along). Here we go! First things first, there are really two options when it comes to becoming a member at a co-working space. Either you go for the hot desking option, which means that you are free to come and sit down at any open desk in a larger space, or you can have a fixed desk (or a fixed smaller office if you are a team looking for a more private space). I’m mostly interested in the hot desking option. 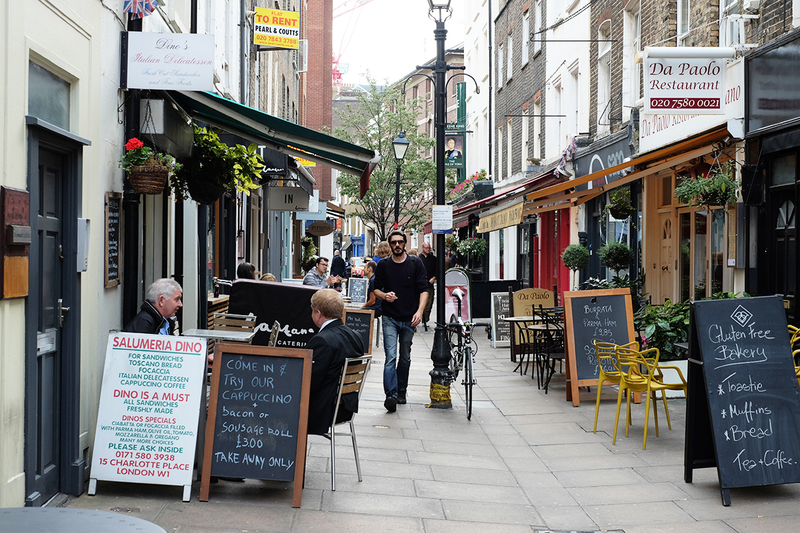 Central Working has four spaces around the city: City, Bloomsbury, Shoreditch and Whitechapel. A hot desking-membership costs £99 / month and gives you access to all spaces for 40 hours a month. You can also sign up for a fixed desk. Included is super fast Internet, free coffee, printers and access to meeting rooms. You’re also invited to loads of seminars and different events. As the staff put it themselves, it’s more about the community than it is abut the actual space. Open 24/7. Google Campus is right in the middle of Eastern London’s Tech City, in Shoreditch, and serves up a big café space where you’re always welcome to pop in for free and work your heart away. Just make up to sign up on the website to become a member. 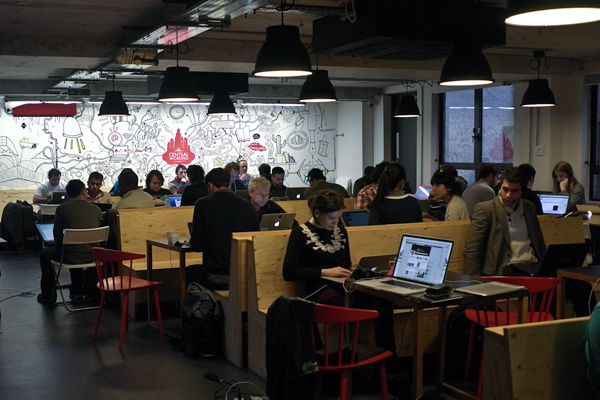 You can also sign up for a fixed desk at the TechHub space upstairs. Of course there are also loads of cool workshops and events happening at the space (what did you expect, this is Google). Open 9:00am-5:30pm Monday-Friday. I love hanging out here – and try to come by around once a week on a day that also matches one of their great events. 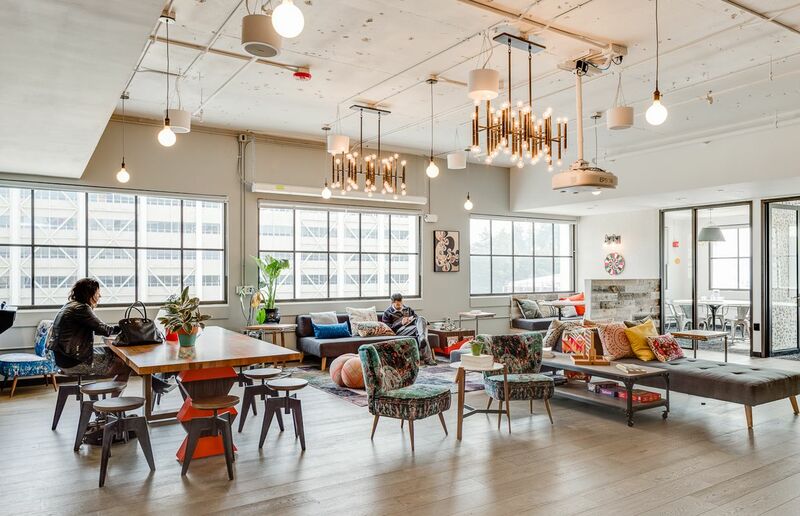 WeWork has beautiful office spaces in multiple cities around the world – whereas in London you can become a member at one of their spaces in SOHO, South Bank, Moorgate, Devonshire Square, Aldgate Tower or Spitalfields. Book a tour online to be showed around. A Commons Unlimted account, their hot desking option, costs 350£ / month while a fixed desk costs 450£/month. Or you can get a Commons Membership, a pay-as-you-go option, for 45£ and then pay 50£ per day spent at one of the office spaces at any of their locations worldwide. There is a WeWork online community with over 25 000 members where you can look for new talent or team members. Coffee and water included, as well as access to meeting rooms a couple of hours per month depending on your membership level. Depending on your membership, you can access the spaces either during daytime on weekdays or 24/7. Impact Hub have several locations across London and the globe, and a strong community of members focusing on social impact. In their own words: “An innovation lab. A business Incubator. A social enterprise community centre. We offer you a unique ecosystem of resources, inspiration, and collaboration opportunities to grow your impact. 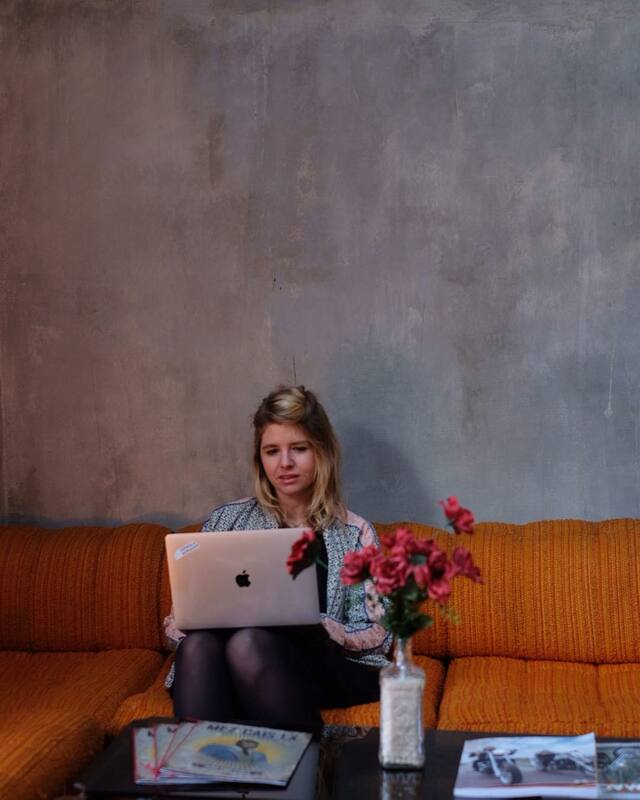 Our diverse community will inspire, connect, and enable you to develop your best work every step of the way.” I ended up going for a 50 hour / month membership for £140 at Impact Hub King’s Cross, where I’m also happily sitting right now, updating this post. 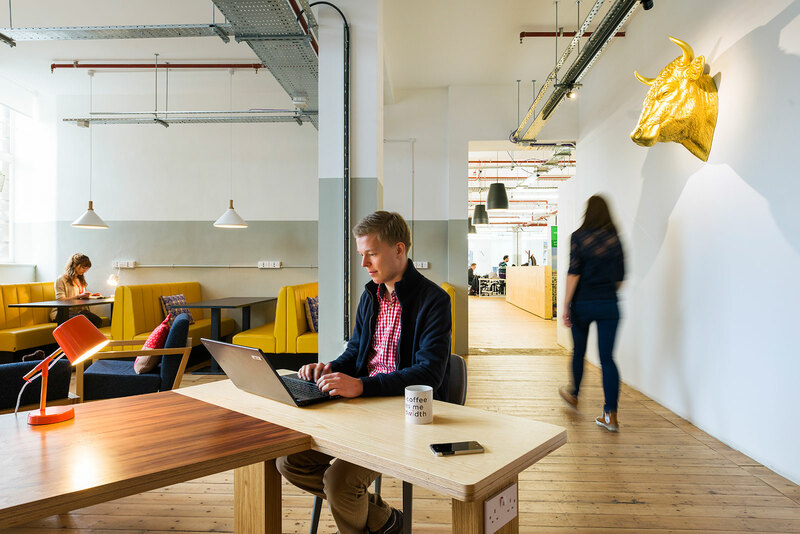 For reference, also check out this great guide from Creative Boom from May this year: Top 10 creative co-working spaces for freelancers in London. 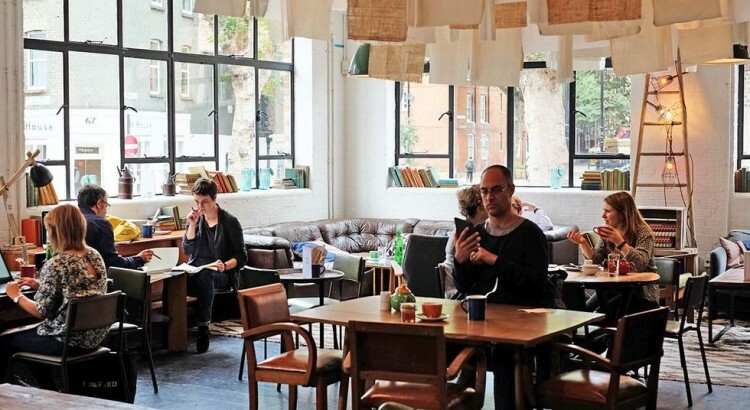 As well as this article by Niki Gomez for Cybersalon (although focused on spaces for smaller companies, some of them work for freelancers as well): The best co-working spaces in London. Thanks for the amazing list. Nice info. I am also looking for one of such places, hope this will help me to find out one.